In the darkest days of WWII Winston Churchill addressed the students of his Alma Mater, Harrow School with the following words. 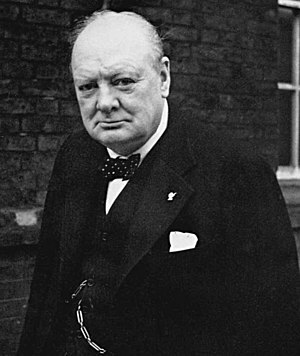 Winston Churchill, Prime Minister of the United Kingdom from 1940 to 1945 and from 1951 to 1955. We forget that this is also God’s message. God has promised never to give up on us. Old Testament and New Testaments together, are a record of how God never, never, never, gave up. – Adam and Eve disobeyed the very First Rule. But God never gave up. – Abraham wandered, and Sarah laughed. But God never gave up. – Moses hid and shook with fear. But God never gave up. – Saul went insane. But God never gave up. – David plotted against Uriah. But God never gave up. – Ahaz sold out to Assyria. But God never gave up. – Israel fell into pieces. But God never gave up. – The Jewish people became exiles. But God never gave up. – John the Baptist was beheaded. But God never gave up. – Peter denied he even knew him. But God never gave up. – The disciples all ran away. But God never gave up. God never, never, never gave up and he has not given up today! As Americans we tend to get the idea that we can do anything. It is sort of a vision of invincibility. After all we took the lead in WWII, put the first man on the moon, saw the Soviet Union fall, led the cyber age and have the strongest economy in the world. With all those things on our side what can be against us? We now find ourselves in a situation where all our ready answers are failing to fill the bill. The only answer for us is to renew that great faith that is within us. It is God’s will to bring good to us all. God created everyone with great potential. He created us in his own image. -“to be a little lower than God.” -He will hear our cry in our darkest times and give us a private audience. The time has come to request that audience. God calls on us individually to come to the realization that He is waiting to hear from us. If we all call upon the God of grace and peace to guide us in these strange times we will wake up to a radically changed world. . A world that is no longer at the daily mercy of terrorist but in the loving arms of the creator of us all. 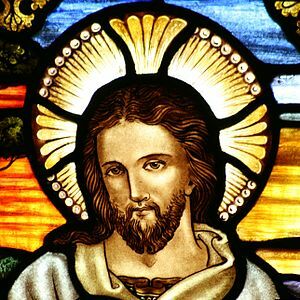 A creator that is capable of bringing love to the heart of hatred that drives the people who rob us of the peace that Jesus came into this world to give us.